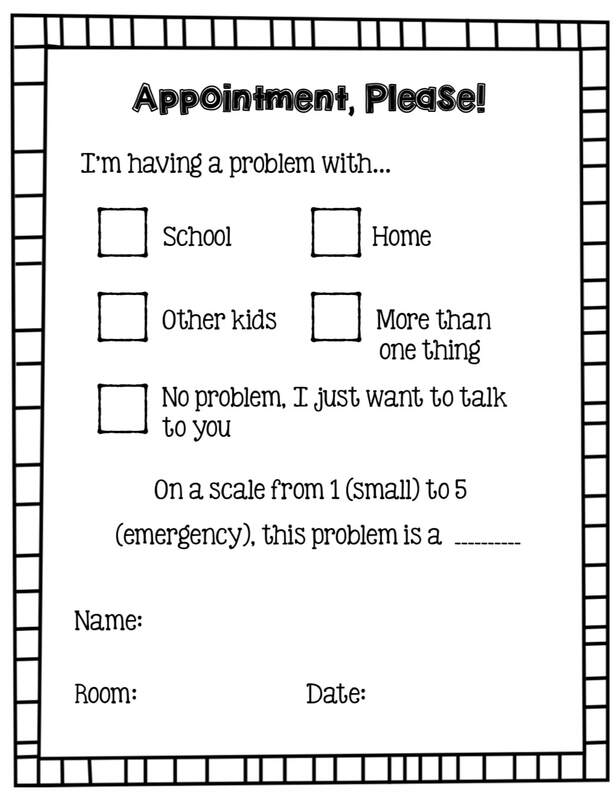 Kids can find these forms in an envelope on my office door. I go over how to fill them out when I introduce myself in the classrooms at the beginning of the year. I make sure they know what I consider to be an "emergency!" Click the image for a link to the printable with four to a page.